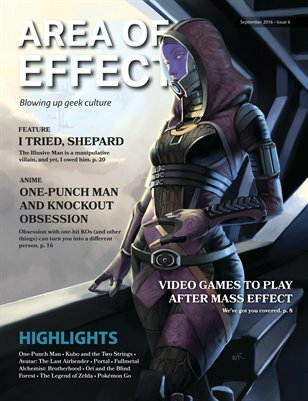 If you love those conversations that arise with people who love the same TV shows, comics, books, video games or movies as you do, you might enjoy Area of Effect magazine. Our mission is to blow up geek culture by encouraging thought and discussion. This is a magazine written by Christians for geeks of all beliefs, passions, and backgrounds.